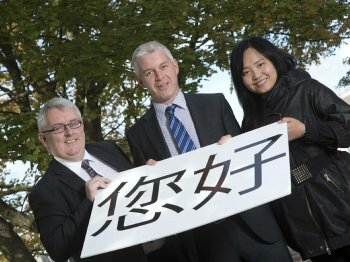 The University of Ulster is helping top NI businesses compete at an international level with the launch of two new language courses in Chinese and French. Designed for people who need language skills for professional purposes, these innovative programmes will give businesses an edge in an increasingly challenging global market. After English, Chinese and French are ranked by Bloomberg as the top two languages used for business worldwide. Dr David Barr, Head of the School of Modern Languages at the University of Ulster said: “Being able to speak more than one language is critical in today’s global business market. Each year, 60 per cent of UK trade takes place with non-English speaking countries and crucially, business deals can be won or lost on the ability to communicate in a range of languages. In the current economic climate, the need for businesses to communicate in other languages is more important than ever. “Speaking the language of the country that you are doing business with gives flexibility, knowledge and personal connections that can make a difference in the speed and effectiveness of negotiations. It will be viewed as a sign of respect and has the potential to open doors in the future. 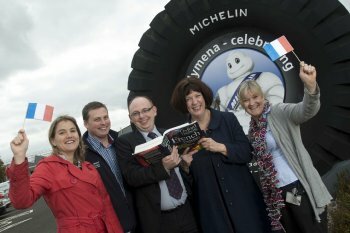 Both language courses will be delivered at University of Ulster’s Belfast campus and will also be taught ‘in house’ for larger groups.On completion of the course students will be able to take the French Embassy exam or the Chinese official proficiency exam, both of which are internationally recognised qualifications. For further information on the University of Ulster’s Chinese or French for Business courses email Lorraine Lavery-Bowen at: l.lavery-bowen@ulster.ac.uk or phone: 028 90366695.